Formerly known as East Passaic, Garfield, New Jersey was named for the 20th President, James Garfield. If you’re planning a move to or from this growing community, call on the services of the Garfield moving company that has served the area since 1945. A moving company doesn’t stay in business for nearly 75 years by accident. It takes a commitment to provide excellent services, competitive prices, and unmatched customer service. On every move, our Garfield movers provide courteous service that exceeds all expectations. Whether you’re moving in-town or across the country, our award-winning moving company can make light work of your relocation. Residential Moving: We’ll treat your belongings with the same care we’d give to our own. Local Moving: You could rent a moving truck and do it all yourself, but smart people choose the affordable local Garfield moving services. Long-Distance Moving: As an agent of Atlas Van Lines, we can help with your relocation anywhere in the country. International Moving: Our Garfield movers can also take care of your overseas move. We’ll handle all the details to ensure a smooth transition. Full-Service Moving: Full-service moving is our most comprehensive choice, but we also offer custom moving packages to perfectly suit your needs. Commercial Moving: Moving a business? Our movers work efficiently to get you back up and running as soon as possible. Specialized Moving: Pianos, fine art, expensive computer equipment, and other valuables require the special care offered by our specialized moving services. You have to trust your movers with everything you own, so choose the services of the Garfield moving company with a nearly 75-year track record of excellence! Contact us to schedule a free moving quote, learn more about our services, or reserve your moving date. 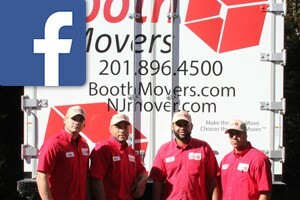 Call Booth Movers, or fill out our short online form to get started.